Kaukaha “K” Watanabe REALTOR ® was born and raised in Hawaii, but moved to Tucson, Arizona shortly after graduating from high school. He instantly fell in love with the desert landscape and its amenities. Since then K has established a strong connection and involvement within the community and is proud to call Tucson his home. He is a proud father of 3 beautiful children, baby Jacob, Joseph, and Mercedes. In his free time, K loves to play sports, travel the world, and spend time with his family and friends! K has an extensive professional background in Sales and Management. 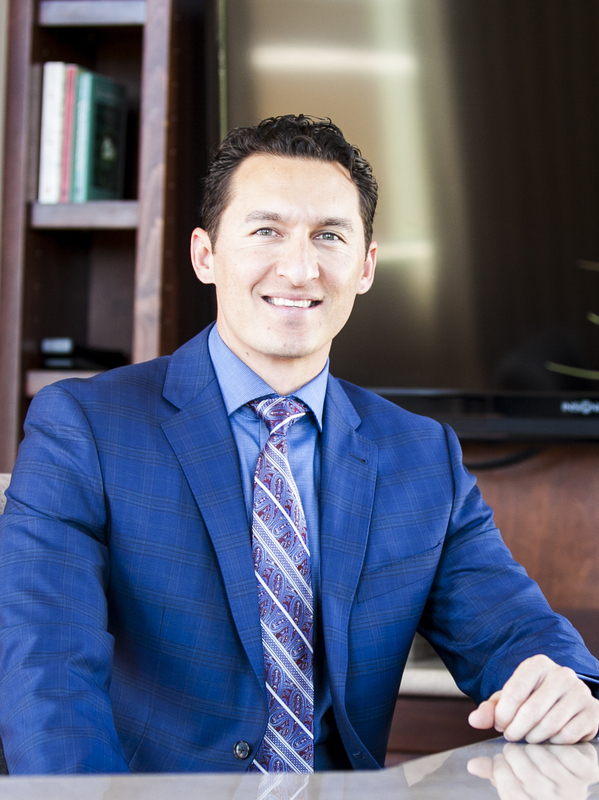 He began his career in real estate in late 2007 and since then his real estate team has helped over 1,000 families purchase and sell their properties here in Tucson, Arizona. In 2010 K started his real estate investment company, KSW Properties LLC, and began investing in residential real estate. KSW Properties has grown into the 3rd largest residential home buyer in Tucson. Since 2010, KSW Properties LLC has purchased, improved, and sold over 500 homes in Arizona. In 2015, K and three business partners invested into Synergy Plaza; the redesign of the McMahon’s Prime Steakhouse & business square. The purpose behind Synergy Plaza will be a to help create a synergetic work environment for businesses located within the plaza. The plaza now offers the convenience of one-stop-shopping for clients who are seeking services for Real Estate, Lending, and Insurance. K and The Property Partner’s office is now located inside of the former steak house. In 2017, K began his venture with eXp Realty after 4 years with Realty Executives. He is now the Team Lead for The Property Partners powered by eXp Realty. His team consists of expert negotiators with over 30 years of combined sales experience in traditional sales, foreclosures, and short sales. They provide each of their clients’ superior customer service through relationship building and effective communication. The Property Partners at eXp Realty has an average listing of 36 days on the market; 34 days less than the Tucson average of 70+ days. They have also sold 408 homes in 2017, 331 homes in 2016, over 200 homes in 2015, 147 homes in 2014, and 131 homes in 2013. They were ranked with Realty Executives International as #3 for Units Sold and #3 for Revenue Generated in 2016, #8 in Units Sold and #33 for Revenue Generated in 2015, #13 in Units Sold and #83 for 2014 and #45 for Homes Sold in 2013. The Property Partners have also been the recipient of reputable awards such as The Top Gun for units and revenue generated, Pinnacle Award, Chairman's Award, and Executive Club Award. In 2016, The Arizona Daily Star listed the Property Partners as a favorite for Best Residential Real Estate Agency / Broker Group in their Reader's Choice awards. The Property Partners were also recognized as one of Arizona’s Top 100 real estate teams by Real Estate Executive Magazine. In addition, Property Partners received the Executive Club Award and Double Diamond Award in 2015; as well as The Diamond Award and Chairman's Award Winner (#1 Realty Executives Producing Agent in Tucson) in 2014. In 2017, The Property Partners became a member of the “The Thousand Top Real Estate Professionals,” a prestigious national awards ranking sponsored annually by REAL Trends and advertised in The Wall Street Journal. With an impressive 408 Transaction Sides for 2017, they're on Their Way to Becoming One of Tucson’s Top Professionals. The Property Partners is now ranked in the top one-half of 1 percent of the more than 1.25 million Realtors® nationwide.